Around 400 bodies have been found so far in the wake of the mudslide catastrophy, a large part of it children, but at least 600 are unaccounted for. Aurora has been working in Sweet Salone for over a decade but considers itself lucky that none of its colleagues and partners have been badly affected by this terrible tragedy. 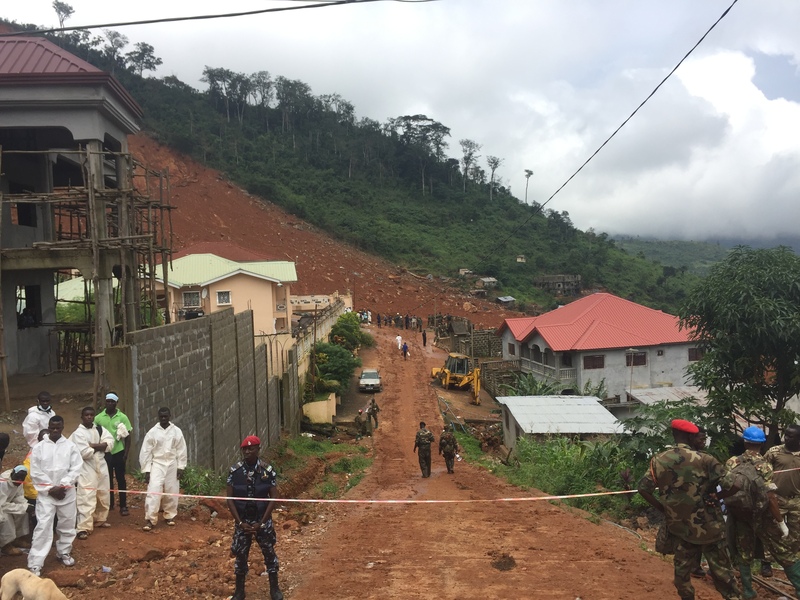 But many thousands of Sierra Leoneans have lost their loved ones and many also their homes. Today Aurora Foundation did its little part and donated new t-shirts to the victims of the horrible mudslide that happened in Sierra Leone last Monday. Our thoughts are with all those affected.